Watch ACT's new Positive Behavior Support in School, Home and Community series. 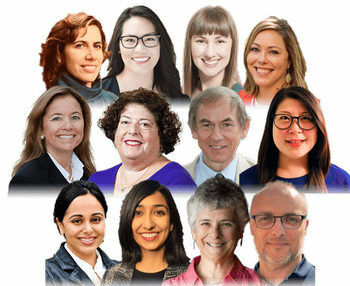 This learning stream of eleven presentations tackles the serious issue of how to work with children with challenging behaviors. 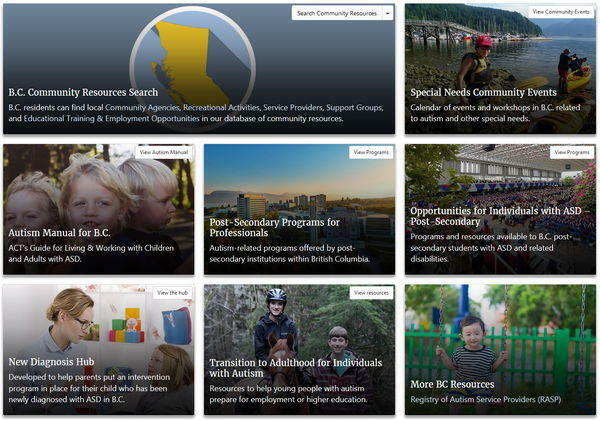 Looking for autism & special needs resources specific to British Columbia? Visit the new B.C. Resources page to find community agencies, recreational activities, service providers, support groups, education & employment, community events, the autism manual, new diagnosis hub, transition to adulthood, and much more! Latest videos, + 4 more new videos. Part of the Online Mental Health & Autism Project. Find practical autism resources with the AID search. We've made it even easier to find resources and tools for parents and professionals with a new subject listing. Free and relevant world-wide. You can also find 自閉症社區訓練協會 (ACT in Chinese), ACT in Punjabi, Online Mental Health & Autism Project: Looking Beyond Autism, and Autism Research. Summer Camps Update, Social Thinking for Young Learners - April 11 & 12, New ACT Fundraiser - Buy Your Ticket Today: Songs on the Water: A Musical Showcase in Support of ACT, Two New Videos on Challenging Behaviors - Free! Researchers are increasingly recognizing that autism affects women and girls differently than males. Delays in diagnosis are common, reducing access to services, with implications for long-term mental health and employment prospects. Welcome summer 2019 with a very special evening of music, food, and friendship to benefit ACT – Autism Community Training. Featured artists include Melanie Dekker, Kate MacColl, Ben Heffernan, Yvonne McSkimming, and Mark James Fortin. Search over 1,300 vetted information resources related to ASD, including online articles, videos, and websites. April is Autism Awareness Month. But many advocates are working to reclaim April as Autism Acceptance Month, to celebrate autism. The New Brunswick government is scrambling to find a way to help dozens of families whose developmentally challenged children face the loss of their support workers within days. NB is one of the poorest provinces in the country and is facing a large number of issues...I think the federal government should be coming in and developing a federal funding plan for all provinces to have access to the same funding and same programs...your amount of support should not be based on which province you live in! It was created specifically with the learning needs of individuals on the autism spectrum in mind. ACT lists workshops and conferences in B.C. related to autism and other special needs that are provided by local agencies and organizations. ACT has been able to both create and identify valuable resources for the Punjabi-speaking community in British Columbia.